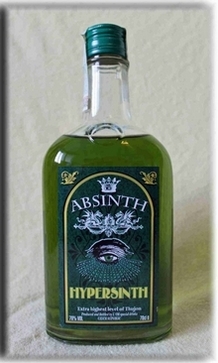 Location: Home » ABSINTHE » SWISS ABSINTHE » ABSINTHE LA CLANDESTINE.. The Absinthe La Clandestine wine alcohol resulting from a recipe dating back to 1935. In this historic recipe more than ten absinthe plants are used . The Absinthe La Clandestine Wine Liquor offers a wide range of flavors, and then show on the finish his wonderful tartness of wormwood. Multiple awards , gold was the result for this excellent absinthe. In our opinion, the Absinthe La Clandestine wine alcohol is one of the best from the Swiss Val de Travers , the famous valley in the Swiss La Bleues are produced . The Absinthe La Clandestine wine alcohol is produced exclusively from natural ingredients and using only historical artisanal methods. Is due to the fact that in this absinthe wine alcohol is used instead of normal neutral alcohol , the individual components come together with the pleasant taste to a perfect composition. In the fragrance one perceives different ingredients : for example, fennel , hyssop , anise or wormwood. Especially the pleasant wormwood is particularly clear . In the finish of excellent flavor stays very long on the palate.